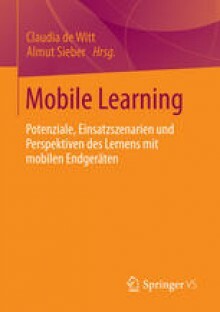 Vor Kurzem erschienen ist der Sammelband “Mobile Learning. Potenziale, Einsatzszenarien und Perspektiven des Lernens mit mobilen Endgeräten”, herausgegeben von Claudia de Witt und Almut Sieber. Darin bin ich mit dem Beitrag “Mobiles Lernen – Systematik, Theorien und Praxis eines noch jungen Forschungsfeldes” vertreten. Das Buch wird geführt unter ISBN: 978-3-531-19483-7 (Print) und 978-3-531-19484-4 (Online) und ist online verfügbar unter http://link.springer.com/book/10.1007/978-3-531-19484-4. Seipold, Judith (2013): Mobiles Lernen – Systematik, Theorien und Praxis eines noch jungen Forschungsfeldes. In: de Witt, Claudia; Sieber, Almut (Hrsg. ): Mobile Learning – Potenziale, Einsatzszenarien und Perspktiven des Lernens mit mobilen Endgeräten. Springer VS, Wiesbaden, S. 27-54. 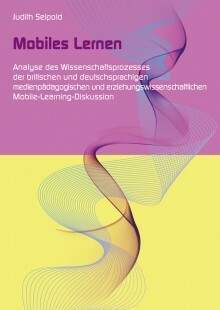 Out now: Mobiles Lernen. Analyse des Wissenschaftsprozesses der britischen und deutschsprachigen medienpädagogischen und erziehungswissenschaftlichen Mobile-Learning-Diskussion. 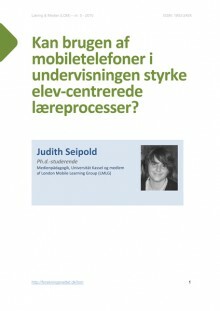 Seipold, Judith (2012): Mobiles Lernen. Analyse des Wissenschaftsprozesses der britischen und deutschsprachigen medienpädagogischen und erziehungswissenschaftlichen Mobile-Learning‐Diskussion. Dissertation zur Erlangung des akademischen Grades eines Doktors der Philosophie (Dr. phil.) im Fachbereich Humanwissenschaften der Universität Kassel. Out now: Mobile Learning. 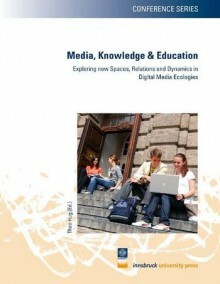 An analysis of the scientific processes of British and German speaking mobile learning discourses in the fields of media education and educational science. Today I uploaded the following text that I have written a couple of weeks ago already to our LMLG website (www.londonmobilelearning.net). The short piece is a result of my recent work on mobile learning. The pdf-file can be accessed here or as text-version below. The following article is a follow up of my presentation given at a Mobile Media Seminar at the University of Aarhus (DK) in March 2008. 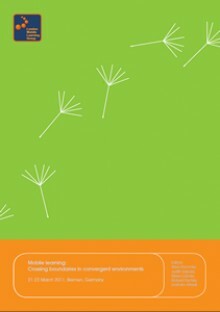 Seipold, Judith (2008): Mobile learning at the interface between formal and informal learning. Harnessing mobile phones and their modes of representation for curricular learning. Seminar Mobile Media, 10. März 2008, Aarhus Universitet, Centre for IT & Learning, Aarhus. The article was written in English (not the best English) and translated into Danish. The Danish language version was published in 2010. On March 21, 2011 I held my presentation “A critical perspective on mobile learning: Results of a heuristic analysis of the scientific process and a hermeneutic analysis of mobile learning practice” at the “Mobile learning: Crossing boundaries in convergent environments” conference in Bremen (conference website). which is available for download at http://www.londonmobilelearning.net/downloads/MLCB_BOA_Bremen-2011_Crossing-Boundaries-full_2011-03-18.pdf. Educational and pedagogic research on mobile learning is about ten years old. Over this time the scientific process can be split into three phases, which reach from (1) research on practice via (2) the application of existing learning theories to (3) the generation of new theoretical and conceptual frameworks for mobile learning. With a view to the different lines of development within these phases it becomes evident that there are e.g. attempts not only to understand what mobile learning is, but also to demand changes in the educational system. The latter refers not least to a process of democratisation of learners and learning that is about to take place. Focussing on mobile learning practice, ambiguities and contradictions in the use of mobile devices in learning contexts appear. They stand in contrast to what research on mobile learning suggests, e.g. ad-hoc use of mobile devices, collaborative learning, the crossing of conceptual and local contexts etc. On the other hand, practice also suggests the power of learners being able to create new learning spaces and concepts as well as implementing multimedia and multiple modes into school learning that replace the written text as dominant mode for learning. The paper will outline the scientific processes of the mobile learning field with a focus on the educational and pedagogic developments in mobile learning taking place in the UK and in Germany. The results deriving from this heuristic and hermeneutic analysis will be reflected critically in order to reveal ‘pseudo’ changes and ‘success stories’ in the use of mobile devices for learning, as well as the potential of such a discussion. The development of the scientific mobile learning discussion in the UK over the recent years resulted in the autonomy of the discipline in the educational and pedagogic field. Referring to categories of a qualitative heuristic method, the process can be described in terms of social and cultural contexts of the mobile learning discussion (i.e. related disciplines such as sociology and e-learning), the social practices constituting the mobile learning discussion (i.e. lines of argumentation, concepts, definitions), and the developing process characterising the mobile learning discussion. The latter consists of three phases each of which is characterised by lines of development. Whilst the phases are structured by time, the lines of development can be seen as characterising the respective chronological phases. In addition, the lines of development are describable as approaches and fields of research that are persisting independent of time. Phase 1: Explorative, technology-centred and practical implementation: Phase one can be described as explorative. Mobile devices were installed in educational settings in order to see how mobile technologies allow for changes in teaching and learning processes. The discussion was very much technology driven. Phase 2: Application of existing theories and conceptual frameworks: The second phase focuses on the application of existing theories and conceptual frameworks such as Activity Theory (Engeström, 2001, 2005) and the Conversational Framework (Laurillard, 2007), as well as on personal (Green, Facer, Rudd, Dillon, & Humphreys, 2005), collaborative and situated learning (Lave & Wenger, 1991) with the aim to explore dynamic processes around formal and informal learning and knowledge building. Phase 3: Building of theories and conceptual frameworks: The third and most recent phase is structured by attempts to build theories and conceptual frameworks, e.g. the socio-cultural ecology of mobile learning (Pachler, Bachmair, & Cook, 2010) or the “Theory of mobile learning” (Sharples, Taylor & Vavoula, 2010). Now, the learner is seen as standing at the centre of his/her learning processes. Against the background of the construction of theoretical and conceptual frameworks, the role of the devices is becoming less important. Instead, the social/societal framework and the learners’ expertise, agency and cultural practices are gaining importance. Mobility is no longer defined through the devices, but through the learners’ abilities to act flexible in ever changing and self-constructed learning contexts. The analysis of mobile learning practices in school contexts was realised according to categories that were developed against the background of the socio-cultural ecology of mobile learning (Pachler, Bachmair & Cook, 2010). Focusing on the actual use of mobile technologies and convergent media it became evident that learning with mobile devices does not necessarily foster ad-hoc, collaborative, personalised, self-directed and innovative learning. In most cases, the teaching design is pre-structuring the use of the devices and thus limits in consequence the potentials inherent in the use of mobile technologies for learning. Here, mobile learning appears as old wine in new bottles. In case teachers are providing spaces to learners to act according to their expertises, interests, agency and cultural practices, innovative use of the devices and the generation of contexts by learners can be discovered. Here, user-generated contexts are a fruitful concept to frame mobile learning and to approach the design, the use and the analysis of mobile learning. The scientific process of the mobile learning discussion was carried out by using a qualitative heuristic method (see e.g. Kleining & Witt, 2000; Krotz, 2005). This ‘discovering’ method means that the analysis intends to bring aspects to the foreground that are inherent in the discussion. By referring to key components of this method, the following aspects were considered in order to allow for the caption of this phenomenon: the development process, social practices relevant for establishing the discussion, the contexts in which the field was raising and the meanings deriving from the development process. As for the analysis of mobile learning practices, a hermeneutic analysis was undertaken. Hermeneutics is an interpretative method, which means that the scientist interprets phenomena according to his or her research questions, the theoretical background he or she is using and his or her ‘preferred reading patterns’. Together, the heuristic and the hermeneutic analysis of the mobile learning field allow for conclusions that are able to describe and understand the field according to its structure, elements, development lines and their relation to each other as well as for tendencies and contradictions. The aim is to not only to be able to characterise the field, but also to point to discrepancies and thus aspects that need to be considered for further research and the development of the mobile learning field. From this perspective mobile learning is not only about learning but also – and more generally – about politics and the need to understand the school system, learning and the roles of teachers and learners in the context of current changes of mass communication and society. However, having a look at the mobile learning practice, there are several issues that are standing in contradiction with what research and theory development suggest. In fact, a lot of ‘pseudo’-opening is taking place which makes mobile learning often appear as old wine in new bottles. This applies for example to features of mobile devices such as the ad-hoc access to and distribution of information, to the teaching design that can reduce learners’ activities with mobile devices to behaviouristic learning instead of supporting constructivist learning, or to situated learning that can become gathering of information through the use of convergent media such as platforms. 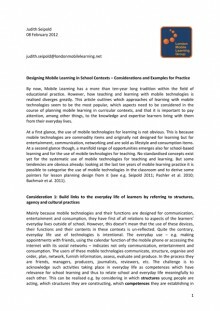 Besides, and this is part of the dialectics of mobile learning, there are real enhancements and innovations taking place in the use of mobile devices which are on the one hand achievements of the learners themselves, and which might on the other hand result from what is described as “pseudo-opening” above. Former are related to the use of modes of representation as well as the learners’ creativity. Also, learners revise existing structures, connect them and established new ones in order to create their own convergent learning spaces and “learner-generated contexts” (see e.g. Cook, 2010). Latter provide structures for equal access of information and discursive engagement in learning materials. Cook, J. (2010). Mobile Learner Generated Contexts. Research on the Internalization of the World of Cultural Products. In B. Bachmair (Ed. ), Medienbildung in neuen Kulturräumen. Die deutschsprachige und britische Diskussion (pp. 113–125). Wiesbaden: VS Verlag für Sozialwissenschaften. Engeström, Y. (2001). Expansive learning at work: Toward an activity theoretical reconceptualisation. Journal of Education and Work, 14(1), 133–156. Engeström, Y. (2005). Knotworking to Create Collaborative Intentionality Capital in Fluid Organizational Fields. Advances in Interdisciplinary Studies of Work Teams, (11), 307–336. Retrieved from http://dx.doi.org/10.1016/S1572-0977(05)11011-5. Green, H., Facer, K., Rudd, T., Dillon, P., & Humphreys, P. (2005). Personalisation and Digital Technologies (Futurelab Report). Kleining, G., & Witt, H. (2000). Qualitativ-heuristische Forschung als Entdeckungsmethodologie für Psychologie und Sozialwissenschaften: Die Wiederentdeckung der Methode der Introspektion als Beispiel. Forum Qualitative Sozialforschung, 1(1). Retrieved from http://nbn-resolving.de/urn:nbn:de:0114-fqs0001136. Krotz, F. (2005). Neue Theorien entwickeln: Eine Einführung in die Grounded Theory, die Heuristische Sozialforschung und die Ethnographie anhand von Beispielen aus der Kommunikationsforschung. Köln: Herbert von Halem Verlag. Retrieved from http://www.gbv.de/dms/hebis-darmstadt/toc/11253757X.pdf. Laurillard, D. (2007). Pedagogical forms for mobile learning: framing research question. In N. Pachler (Ed. ), Occasional Papers in Work-based Learning: Vol. 1. 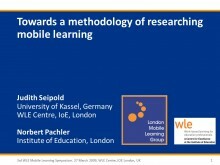 Mobile learning – towards a research agenda (pp. 153–175). London: WLE Centre. Retrieved from http://www.wlecentre.ac.uk/cms/files/occasionalpapers/mobilelearning_pachler_2007.pdf. Lave, J., & Wenger, E. (1991). Situated learning: Legitimate peripheral participation. Learning in Doing: Social, Cognitive, and Computational Perspect. Cambridge, UK: Cambridge University Press. Pachler, N., Bachmair, B., & Cook, J. (2010). Mobile learning: structures, agency, practices. New York: Springer. Sharples, M., Taylor, J., & Vavoula, G. (2010). A Theory of Learning for the Mobile Age. Learning through Conversation and Exploration Across Contexts. In B. Bachmair (Ed. ), Medienbildung in neuen Kulturräumen. 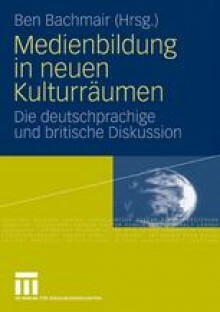 Die deutschsprachige und britische Diskussion (pp. 87–99). Wiesbaden: VS Verlag für Sozialwissenschaften. Medienbildung im Spannungsfeld alltäglicher Handlungsmuster und Unterrichtsstrukturen. Einen Text zum Projekt “Schul-Internet Medientauschbörse – Förderung der Medienkompetenz unter den Bedingungen einer zusammenwachsenden Medienwelt” (kurz: Medientauschbörse) habe ich ihm Jahr 2009 zusammen mit Klaus Rummler und Julia Rasche verfasst. Wir drei waren damals am Projekt beteiligt, hatten unsere jeweils eigenen Fragestellungen und haben nun – nachdem das Projekt bereits abgeschlossen war – noch einen Text dazu veröffentlicht. In ihm setzen wir uns mit Aspekten der Medienbildung auseinander, was damals nicht explizit Teil der Fragestellung war. Der Text kann über Springerlink eingesehen werden. URL siehe unten. On March 27, 2009 the 3rd WLE Mobile Learning Symposium took place at the WLE Centre, IoE, London. I was – together with Norbert Pachler, Agnes Kukulska-Hulme and Giasemi Vavoula – organiser of this event. We produced a lot of output such as the book of abstracts, slides and, as far as available, video recordings of the presentations which can be accessed via the old conference website. I took the opportunity and presented MoLeaP (for the first time), as well as a methodology of researching mobile learning. Latter was developed for and applied to the analysis of mobile learning projects to make use of them for the development of the socio-cultural ecology of mobile learning (see e.g. Pachler, Bachmair & Cook 2010).